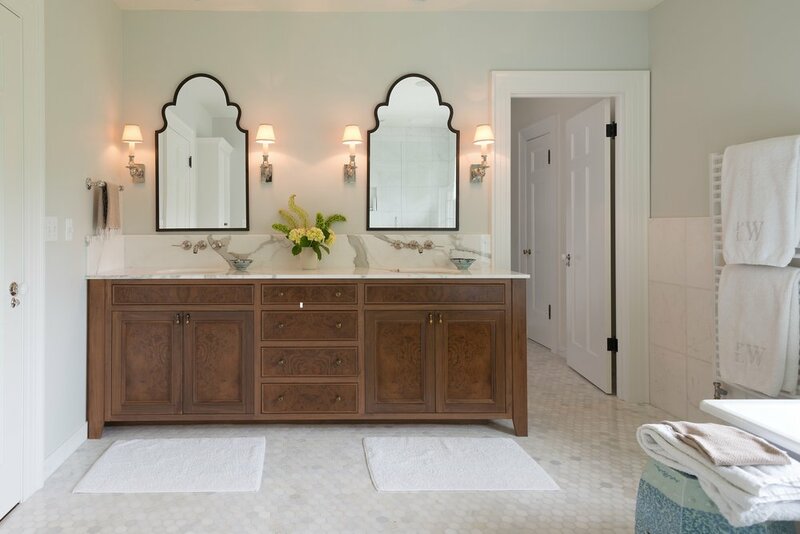 Bathroom Remodel in Portland and Lake Oswego by Jenni Leasia Design. A beautiful well-fitted bathroom is a luxury in the very best sense of the word. It creates comfort and ease, while elevating daily experience. We have designed spacious spa-like retreats and compact super-efficient bathrooms. Do you have a dream bath in mind? Talk to us, we will make it happen so that you can enjoy it every day. Even a small bathroom remodel requires many decisions. Working with an experienced designer takes the stress out of the process. We present a combination of materials from tile to bath fittings that will work beautifully together and function perfectly for your needs. You can have all the features you want— curbless shower, heated floors, efficient storage.and beautiful lighting—in a space that reflects your taste and lifestyle.